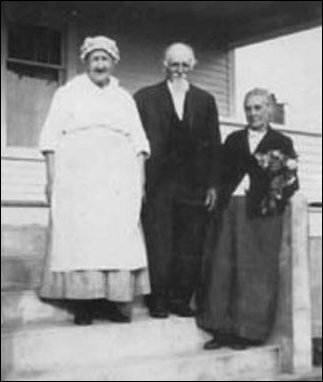 Lewis and Malinda Kirkby (on the right) and unnamed "Grandma"
Lewis Kirkby, Sedro pioneer By Noel V. Bourasaw, Skagit River Journal of History & Folklore, ©2002 Lewis Kirkby was one of a wave of Kansans who moved to Washington territory, starting in the mid-1880s. Although we have read varying accounts, we think that he moved to Roche Harbor — first, in 1883. That was the same year that the famous Kansan, Isaac Kalloch, moved to Whatcom and his kin settled near what we now called Prairie. The Kallochs and the Halls were some of the earliest settlers from Kansas in that area after John Warner. The Greens, Darts and Hammers also emigrated from Kansas, starting in 1889. Lewis [also spelled Louis in some documents and his death records] led a long and productive life, dying in Sedro-Woolley in 1933 at age 94. His longest lasting mark was the Free Methodist church on Borseth Street (now Hwy 20), for which he donated the property. The church building, north of Bingham Park, was boarded up several years ago, and is now used for meeting and storage space, and the church meets elsewhere in the county. Any time, any amount, please help build our travel and research fund for what promises to be a very busy 2010, traveling to mine resources from California to Washington and maybe beyond. Depth of research determined by the level of aid from readers. Thank you. Family members recall the stories of how Lewis and his wife, Malinda, were easy marks for the hobos who traveled the rails during the early depression of the 1890s. The hobos left marks in chalk on the fence and the sidewalk to indicate the houses where people would feed them. Lewis probably moved to Sedro in 1888 because he was living here when his son-in-law Charles Cully moved his family from Roche Harbor to join him in the fall of 1889. We do not know Lewis's early work after arriving here but the 1900 census indicates that he was a mail carrier by then. His daughter-in-law Ida Bayly Kirkby married famed lumberman Silas M. Butler of Burlington in 1903 after she was widowed. Lewis was born near Nottingham Forest in Newark, Winthorpe, England, in 1838, just a ways from Robin Hood's legendary home. In an unknown year he emigrated to the U.S. with his twin, both of whom planned to wind up in Texas, but Lewis eventually wound up in Kansas. He landed first in Franklin county in 1859, probably married there in 1861, and by 1864, he had moved near Ayersville or Ayersburg [now Lindsey], and the incident recounted below occurred there. He moved to the town of Wells in Marshall county in 1872 and that is where he lived until he moved to Roche Harbor. Before that last move, however, he was involved in two frontier scrapes involving first the Quantrill guerilla raiders and then Kiowa Indians, which illustrate the severe hardships of living there in those Civil War years. For that part, we shift to the history of pioneer women that Lavinia Gates Chapman and Joanna Stratton wrote three generations apart. Joanna Stratton and pioneer women Twenty years ago I was writing for a string of weekly newspapers north of Stanford University in California, when I went on a whim to hear a reading by a new author at a bookstore. Simon and Schuster had just published a book called Pioneer Women: Voices from the Kansas Frontier by Joanna Stratton, a Harvard student whose great-grandmother and grandmother were Kansas pioneers. Neither she nor I knew then that her book would soon be heralded as the best of a group of books that would be written that decade to evoke the pioneer experience of women. Maybe we should have all gotten the hint when we saw that Arthur M. Schlesinger wrote the introduction. I still remember, however, that I had glimmerings of this project that night, even though it took ten more years for me to return to Sedro-Woolley to launch it. Joanna visited her grandmother often in the Victorian home in the historic Potwin district of Topeka. Grandma Lenore Monroe Stratton inherited the great old house from her mother, Lilla Day Monroe, moved to Kansas in 1884, at end of frontier period, to Wakeeney on the barren western plains. Shortly after she arrived, she married a young attorney named Lee Monroe, who eventually became a respected jurist and a judge in Topeka while she had four children. She clerked for her husband, studied law, passed the state bar and in 1895 became the first woman accepted to practice before the Kansas Supreme Court. They built their Victorian home in Topeka, about 250 miles east of Wakeeney, in 1887. From a rediscovered collection of priceless autobiographical accounts written by hundreds of pioneer women, Joanna Stratton has made a remarkable and widely celebrated book. Never before has there been such a detailed record of women's courage, such a living portrait of the women who civilized the American frontier. Here are their stories: wilderness mothers, schoolmarms, Indian squaws, immigrants, homesteaders, and circuit riders. Their personal recollections of prairie fires, locust plagues, cowboy shootouts, Indian raids, and blizzards on the plains vividly reveal the drama, danger and excitement of the pioneer experience. These were women of relentless determination, whose tenacity helped them to conquer loneliness and privation. Their work was the work of survival, it demanded as much from them as from their men — and at last that partnership has been recognized. "These voices are haunting" (New York Times Book Review), and they reveal the special heroism and industriousness of pioneer women as never before. They called it "the Great American Desert." In the eyes of early explorers, Kansas appeared to be little more than an arid wasteland, unfit for cultivation and unsuitable for habitation. As a result, the Kansas wilderness remained relatively unknown until the middle of the nineteenth century. Originally a part of the Louisiana Purchase, it had been strictly maintained by the government as an Indian territory and as such was officially closed to any white settlement. Only a trickle of missionaries, soldiers, and surveyors were allowed to penetrate this barren, unfamiliar landscape. But by 1850 an ever-increasing population and a growing economy focused attention on the country's need for new land. Expansive and promising, the Great Plains seemed to answer the call of a nation, and in May 1854 Congress, after considerable debate, passed the Kansas-Nebraska Act. With Kansas and Nebraska now open to settlement, a homesteading fever swept across the country. In Kansas alone, there were nearly fifty million acres of virgin grassland for the taking. People of all backgrounds and nationalities, rich or poor, were entitled to stake their claims and own a share of these untried plains. Within months, settlers from the East, the South, the Midwest and even foreign countries streamed into the prairie heartland. Excited by the cheap land and the new opportunities to be found there, they bravely said goodbye to friends and family and abandoned every routine and comfort of their old lives. Lavinia Gates Chapman and Lewis Kirkby One of the most quoted sources in Lilla Day Monroe's original research was Lavinia Gates Chapman, who was also a neighbor of Sedro settler Lewis Kirkby in both Franklin county and later in Ottawa county. In William E. Connelley's 1918 book, Standard History of Kansas and Kansans, we learn that Chapman's grandfather, John Pratt, was a major in the Revolutionary War and her granduncle was General Horatio Gates, who captured Burgoyne in 1777. Like Kirkby, her ancestors came to the American colonies from England. Her father, S.S. Gates was originally a schoolteacher in New York, but he later became a railroad contractor in Pennsylvania and built a portion of the Allegheny Railroad to Wisconsin. Born in New York in 1835, Lavinia Gates attended schools in Pennsylvania and then she taught school for several terms when her parents moved to Wisconsin; she was already a budding writer. In 1851 she married Stephen B. Chapman, a farmer and laborer from Ohio, in Dell Creek, Wisconsin. They lived on his farm until 1859 when they grew weary of the cold Wisconsin winters and decided to move with their three children to Kansas. They spent the first winter at Dozier's Landing in Missouri and when spring broke they crossed the line to Kansas where they bought an Indian claim in Douglas county. After the outbreak of the Civil War, they lived in constant danger, both from Quantrill's raiders and Indian tribes who rose up against the railroads being planned and built across the state. You can read about those incidents and Kirkby's role in them below. Stephen Chapman was a Republican and staunch reporter of the Federal government, and he soon became an orderly sergeant in Captain Bell's company while also serving as justice of the peace. At Lavinia's urging, they eventually moved much further west to Ayersville, 125 miles west of Topeka, where they both secured homesteads of 160 acres in their individual names. Stephen died at their farm in 1907 and Lavinia moved to Minneapolis, where she became a grand old lady of society. Among many other hardships, Lavinia lost her father to frontier violence. On his way for a second visit with his daughter in 1869, S.S. Gates was robbed and beaten in Wisconsin but recuperated enough to assist in capturing one of assailants. He was murdered, however, in September 1869 before the final trial. Lavinia had six children; one daughter excelled at Chicago Law School, graduating at the head of a class of 40 students, and became a noted attorney. They needed more money to furnish the building, so they nailed boards to the windows and decided to raise what was needed by giving a dance and had all in readiness when I told them I would pray to the Lord to blow the building down rather than to dedicate it with a dance. Oh, the burden that was in me that day, and it was as beautiful a day as I ever saw, but just before night there came up a storm and laid the building to the ground. Oh, such a beautiful day as it had been. All was in readiness and I said, 'Lord, Lord, will you let them dedicate it with a dance?' Just before dark a storm came and some of the church went east, some north, some west and some south, the ground where the church had stood was swept as clean as if it had been swept and they never got the pieces together again. Houses were moved off their foundations and the next morning it was a sad little town. The pieces that were found were collected together and sold to the highest bidder, Bother Cooper who lives on Pipe Creek has some of the boards in his house now. A piece of one of the those boards would be a relic to me. Kirkby descendant Charles Kirkby has been our principal source about the family. He recently found a mini book written by Lavinia called Pioneer Short Stories. It covers the period from 1859 when Lavinia and Stephen Chapman moved south from Wisconsin to the prairie. There are two excepts that also feature Sedro settler Lewis Kirkby. The first story is from 1863 when they were living on the old Indian claim in Douglas county near what was originally called the Santa Fe highway. The nearest village was Baldwin, twelve miles from the larger town of Lawrence. One day after Stephen enlisted in Captain Bell's company, a militiaman rode out to the farm and told him that the town of Lawrence was on fire from a guerilla assault. Carl W. Breihan's describes Lawrence before the attack of Aug. 21, 1863, in his book, The Killer Legions of Quantrill. Lawrence was founded by Amos Lawrence in 1854 and after nine years had grown into one of the most beautiful towns in the Midwest. Its wide streets were tree-lined, its stores big and prosperous, its homes spacious showplaces, its people industrious. By 1863, 1200 people called Lawrence home . . . Because most of the citizens were staunchly anti-slave advocates, it was also a center for Federal recruiting. Supplied with generous details by his spies, including a detailed house-by-house plan of the town, Quantrill laid his plans with diabolical care. The homes of those who had voiced their anti-slavery sentiments were marked for destruction, as were those of Federal officers and militiamen. Missouri, a slave state, wanted Kansas admitted to the Union as a slave state, too. Abolitionists in Kansas were determined to keep Kansas a free state and were leaders in founding the Underground Railroad, an immigrant society to help smuggle slaves out of the South. Under its auspices, a great many easterners were brought to Kansas and Missouri to assist in the activity. Mr. Chapman was gone three days. He went back to the cornfield for his coat. There was a new rail fence. He said that the fence was well slivered up from both sides. Rebels and Union men. We furnished three horses. Chapman rode one and Lewis Kirkby rode one. Have forgotten who rode the third. They were all swollen next to the forelegs and we thought they would surely die, but by bathing them they all got well. The men could not sleep in the house. There would be squads from Missouri in some part of the country every night to steal horses and if resistance was offered they would shoot them down. . . . I will mention a family — I have forgotten the name. They saw Lawrence was burning. The lady had her husband go down cellar through a trap door. The guerillas came to burn the house. She begged for them to spare her house. They said "NO!" 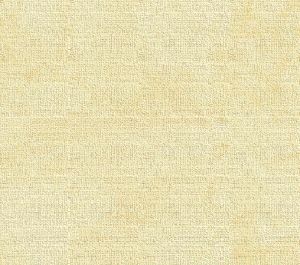 "Oh, my carpet, the only thing my father gave me! Let me take that up. It is all I have that he gave me." They said they would give her time to take it up and out. She went to work, took it up, gave the signal to her husband to be ready, then she drew it over the trap door and he crawled under the carpet to a place of safety upon a woodpile. She carried one end over her shoulder and he crawled close to her. She sat down to see that no sparks burned her carpet and thanked God for the privilege of saving her husband. The neighbors would flock to our house or dug-out for refuge when the Indians made a raid. One time they were on the war path and coming down the river and everyone was much frightened. The Kirkbys and Fallibers lived across the river from us and they said "The Indians are coming, we will go to Chapman's dugout. So they took the young baby, only three days old, of Mrs. Kirkby, and two other children of Mrs. Falliber, one on her back and one in her arms, and struck out for the river. Mrs. Falliber said for them to wait till she took the two children over then she would come back for the baby. She plunged in and had almost reached the opposite side when she heard a splash and looking around, she saw Mrs. Kirkby's head coming out of the water. Mr. Fallber [actually the family notes that it was Lewis Kirkby] being so frightened by thinking he heard a war-whoop, he told Mrs. Kirkby to get on his back while he carried the baby in his arms. He bravely started over and probably would have crossed alright but his feet became entangled some way and he stumbled and fell, the baby underneath. But they got up and scrambled for shore, all being thoroughly wet but no one seriously injured as I gave them dry clothes as soon as they reached the dugout and put Mrs. Kirkby to bed and gave her a ginger and she was all right. I spread quilts on the floor that night for beds and all that could get on a quilt bedded while the men were watching for the coming of the savages. I cooked breakfast the next morning for fifty-two. That is one of many collections that we proudly present as part of our series on Pioneer Women. [You can read there the stories of many women who made their mark both as homemakers carving out the wilderness and as community leaders and writers of frontier history. There are also many more stories of pioneer women in our separate online subscribers magazine, which we launched in January 2001 and is now in the 52dst issue in early 2010. You can learn more about the Kirkbys in the story of John Cully and family crossing the plains to Sedro; and the Silas M. Butler story. In the spring of 2010, we will present a whole series of Lewis Kirkby's pioneer life from Kansas to Washington. Return to this main page for a full list of profiles and obituaries on file. And please consider adding to our list if you have articles or scans. We especially want copies of very old newspapers, and those from the Pioneer Picnic week [first Thursday of each August] issues of the Puget Sound Mail of LaConner are worth their weight in gold. in Issue 32 and will be updated again in 2010. Can you help? Read how to sort through our 680-plus stories.